The Brooks is a 2,492 acre master planned development in Bonita Springs which currently offers four gated communities: Shadow Wood, Spring Run, Lighthouse Bay, and Copperleaf. Real Estate in the Brooks features different types of properties in each community. 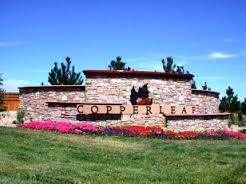 Copperleaf’s premiere golf inclusive community is comprised of 570 single-family condos and executive neighborhoods of distinction. One and two-story homes feature architectural designs that capture Southwest Florida’s fabulous outdoors. Along with the 17,000 square-foot clubhouse, members also enjoy lighted tennis courts, bocce courts, heated swimming pool and Jacuzzi. Shadow Wood is an upscale community comprised of 34 neighborhoods with 1,481 homes nestled between 85 shimmering lakes, picturesque fairways, and 350 acres of lush nature preserves. A broad range of residential options include custom estate single-family, custom single-family, traditional single-family, villa and coach home neighborhoods. Shadow Wood is a private, financially sound, member-owned club offering four membership options. Amenities include 54 Holes of Championship Golf, 2 Full-Amenity Award Winning Clubhouses, 9 Lighted Hydro-Grid Tennis Courts, and a Full Schedule of Social Events. The community includes the Harbour Club & Spa, with docks, paddle boats, canoes and fishing boats. A clubhouse, pools, health club, swimming atrium, 3 cabana pools, Arts and Learning Center. The Tennis Center has six lighted Hydrogrid clay courts and a players clubhouse. Residents of The Brooks have the option to join Commons Club at The Brooks. 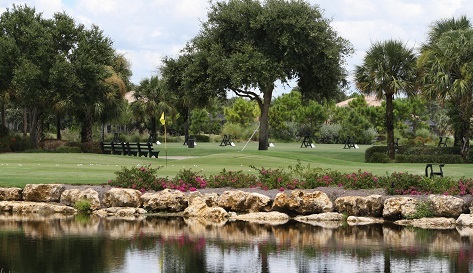 This membership is optional and is not part of Spring Run or Copperleaf Golf Club. The Brooks Commons Club, with several levels of resident memberships includes the private, Gulf-front Commons Beach Club, as well as access to the facilities. Rosie Spoonbill’s the Commons' private waterfront restaurant. The Health and Fitness Center is a fully equipped state-of-the-art facility. The Commons Enrichment Center offers educational classes for a variety of creative arts, space for resident clubs, and features a computer lab and teleconferencing capabilities.